Rizol for peas is a microbial inoculant for the inoculation of pea seeds. 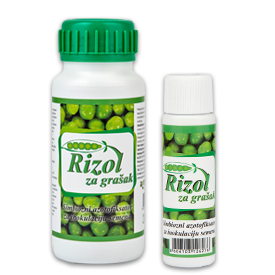 Rizol for peas contains effective strains of rhizobia Rhizobium leguminosarum bv. viciae, associative nitrogen fixers and growth stimulators able to form nodules in the roots of peas inflicted on specific carriers in the liquid state. Symbiotic fixing bacteria through root hairs get inside of the root, starting to dived rapidly, resulting in forming nodules in which the bacteria are fixing nitrogen. The seeds of peas mixed with the contents of the bottle, leave it to dry in air and sow. 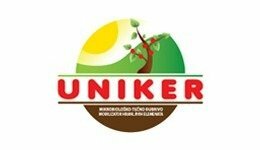 The content of the bottle of 200 ml is sufficient for a seed standard hectare. If necessary, can be added to 100 ml of water or SLAVOL S. Treatment of seeds may be carried out for several days prior to seeding. Rizol for peas can be mixed with pesticides for seed. 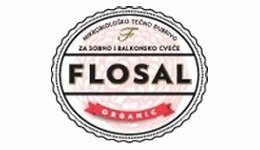 It is recommended to spray Slavol at the stage when the plant forme the trefoil stage until follicle stages.